I have written about being a small town boy from Firth, Idaho. The small, farming community, that is just a short 20 minutes from Idaho Falls and Blackfoot. Now, growing up in smaller towns like this, and where we were out wasn’t even in the town, it was out on a long farm road, surrounded by ample amounts of land and cattle. Due to this, we didn’t have a lot to do, especially in the winters. The winters were brutal, land locking us, the summers would be hot, so I was either playing basketball, or inside with my siblings. The close nit group of friends that I had were all in league with me on the same page when it came to Michael Jordan, reading comic books and awaiting the X-Men movie, watching cartoons all through my high school years right after getting home from school with my little brother, or simply going out and playing paintball. The wide array of things we loved, in my friend circle and family, were all very similar. One of these things was Indiana Jones. Here at The Group Real Estate, I found out that there were many who haven’t seen Indiana Jones! This is a travesty. As friends we loved to get together and watch movies we all grew up with. Where most of our parents were all the same age, the 70s and 80s produced some amazing, nostalgia inducing movies, not only for our parents, but for us, as well. As these were the movies that we grew up with. 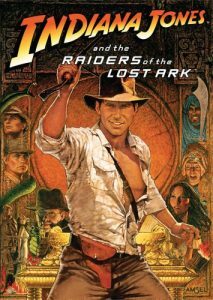 I still remember the first time I saw Raiders of the Lost Ark. The first of 4 amazing (well… one is just okay) adventure movies. I have a very distinct memory of watching it with my mom and dad, at a time when I wasn’t even allowed to watch PG-13 movies, and now looking back, I think to myself, why in the heck did my parents let me watch this. At the end they open the ark and faces start to melt off, a dude blows up and ghost are penetrating the souls of Nazis. I remember walking upstairs after seeing it and looking outside, noticing that it was a darkened night, with cloud cover. I remember asking my mom if someone had opened the Ark. The differences between the movies is wonderful. 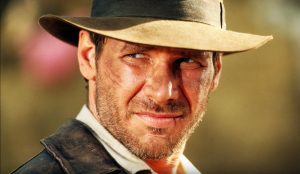 We still get the same action hero, in Harrison Ford brilliantly playing Indiana Jones. 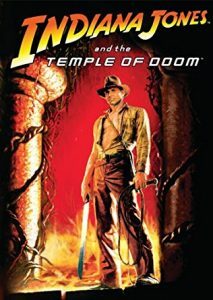 We get the same great tropes, of Indy trying to find some treasure, getting into peril someway or the other, action scenes that would put Indy in jail in a heartbeat, snakes and spiders, and a wonderfully crafted score by the equally brilliant John Williams. Now, on that last bit, I loved these scores so much, that I bought every single soundtrack for these movies and would listen to them religiously on my mission. I still, to this day, will listen to them when I am driving down the highway. 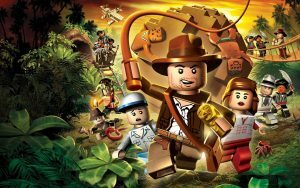 Indiana Jones gives us such great adventure and one of the best role model action heroes to look up to. I think this is what drove me as a kid. I would go outside and use a jump rope as my whip to grab onto ledges to climb. I would fight imaginary bad guys with my close friend, making the “whack” noises that are so prevalent in the fight scenes. I would sing the theme song as loud as I could as I fought these imaginary bad guys. These were wonderful memories. Now that is what is so important with nostalgia inducing movies. Especially ones like Indiana Jones. Not only is it brilliant film making, are the stories so great, but it something that when I watch it, I get such a happy feeling watching them. I have seen Raiders of the Lost Ark at least 100 times. 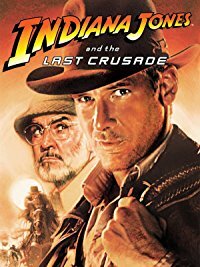 I have watched The Last Crusade around 50. And the Temple of Doom was a staple in my scaring my little brother. Yea, we all know the heart pulling scene all too well. If you haven’t done yourself the wonderful favor of watching Indiana Jones, please do yourself a favor and just come over! I own them all on blu-ray and we will make entire day of it. These movies are so important to me and my childhood, that I cannot wait to fully share them with my children. When they are about 13 yrs of age, though.